... highlight for local people. ... lucky you have a speedboat. ... Smart island google view. ... but waters are crystal clear. We make an early start from Myeik’s Seik Nge Jetty. It's a one and a half hour cruise to Dome Island. 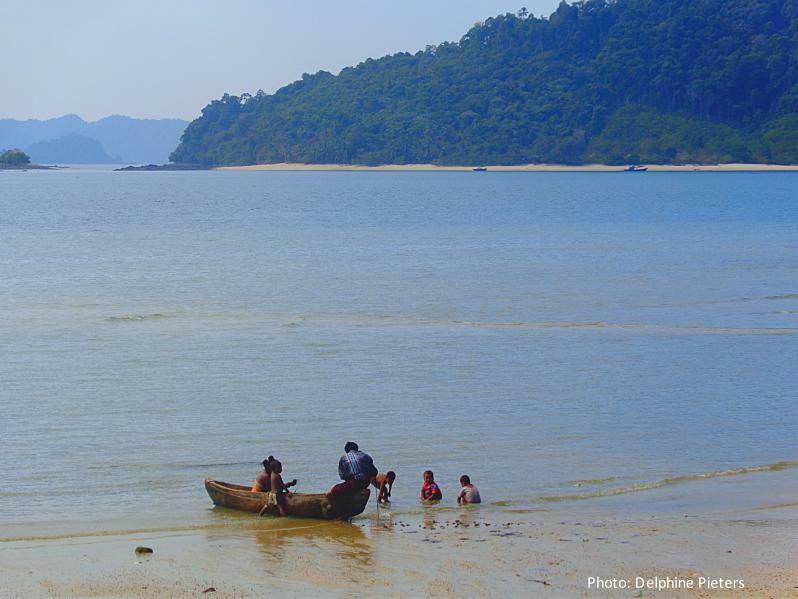 Feel the fresh sea breeze as we pass beautiful mangrove forests. Here and there tiny villages line the shore. The people who live here catch fish, crabs, mussels and oysters. Our first stop will be Dome Waterfall, which cascades down from high above right into the ocean. You are able to climb up and a have a refreshing bath. Please be careful walking around on the slippery rocks and respect the fishing boat, which might refill their fresh water supplies. Later on we arrive to Dome Nyaung Mine Village. The fishermen share the place with sea gypsies, which are called Moken in the local language. Their lifestyle reminds us of a simpler time before bank accounts and life insurance. Many spend their life permanently at sea during the dry season, only seeking the shelter of land when the heavy rains come. We will have seafood and vegetarian lunch in the authentic village. After lunch we cruise on to Smart Island for swimming and snorkeling in pristine waters. The shapes of the island with one long beach and three smaller one is one of its kind. The long and the small beaches are within 5-10 minutes walking distance. Enjoy you afternoon relaxing, swimming, playing, sunbathing and whatever else you would like to do. And then with the last rays of sunshine dancing on the sea we return to Myeik. This day tour is designed for people who would like to explore the most of the Archipelago in one day and don’t mind spending a few hours on a speedboat. The rewards will one of the most beautiful beaches you have seen. Please note: The program may change depending on tide and weather conditions. Note: We can arrange transfer and hotels for your if you like. This tour can be combined with others.